(Bloomberg) — Canadian Prime Minister Justin Trudeau has ousted his ambassador to China in the middle of a diplomatic feud with Beijing after a string of public remarks drew criticism. Trudeau asked for, and got, the resignation of John McCallum on Friday, according to a statement from his office issued Saturday. 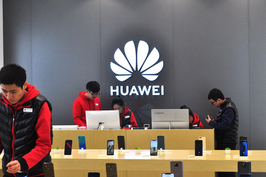 The move comes amid the fallout of Canada’s arrest in December of Huawei Technologies Co. Chief Financial Officer Meng Wanzhou, at the request of the U.S., which has angered China. 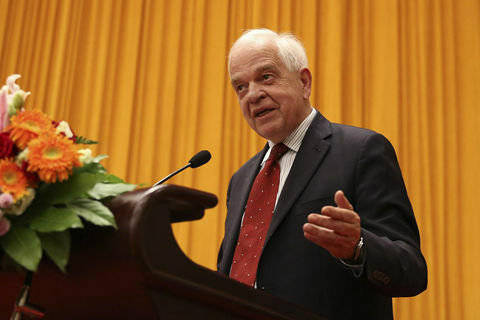 China has since seized two Canadians and sentenced a third to death, but there had been calls for McCallum’s dismissal over the past week after the ambassador made contentious comments. Canada’s deputy head of mission in its Beijing embassy, Jim Nickel, will represent Canada effective immediately, Trudeau said. Canada’s Conservative leader Andrew Scheer, Trudeau’s top rival, said at the time that McCallum should have been fired, but Trudeau at first rejected that call, saying it would do nothing to help free the detained Canadians. McCallum then popped up in the news once again, saying Friday that it would be “great for Canada” if the U.S. dropped its extradition request, according to the Toronto Star newspaper. Canada arrested Meng in Vancouver on Dec. 1. On Dec 10, China seized two Canadians, former diplomat Michael Kovrig and tour operator Michael Spavor, on national security grounds. Meng is under house arrest at her $4.2 million mansion in Vancouver, while Kovrig and Spavor remain in custody and have received only rare visits from Canadian officials, including McCallum. A third Canadian, Robert Schellenberg, was sentenced to death by a Chinese court after initially receiving a jail term for alleged drug smuggling. Trudeau has called the Chinese arrests “arbitrary” and urged Beijing to release Kovrig and Spavor. The U.S. and a broad group of ex-envoys and academics have also called for their release.